Jasper Elementary invited Community Bank of Pickens County to their school for Career Day with the 4th and 5th graders. 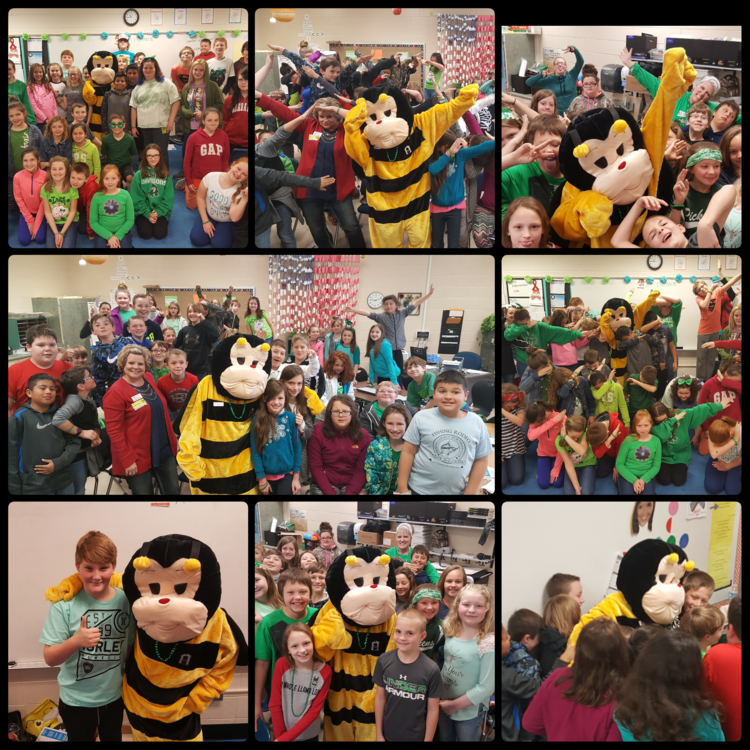 Melissa Jordan, Leanne Cain, & Bizzy the Bee represented the Bank and spoke to around 200 kids. Bizzy was BIG hit and received lots of hugs, Dabbed, and even Whipped and NAE NAE. Thank you to Mrs. Jennie Smith for coordinating with the teachers, and thank you Ms. Yeargin, Mrs. Land, Mrs. Todd, Mrs. Haney, Mrs. Jackson, Mrs. Carver, Mrs. Weaver, & Mrs. Young for allowing us to speak with your class rooms.